With the recent announcement of a new "FinTech Supervisory Sandbox" (catchy name, heh! ), Hong Kong is entering a new era of frantic financial and insurance transformation frenzy. The question is whether the charge will be lead by the incumbent banks or a new set of disruptive startups. To answer these questions and more, we've invited Andrew Eldon, Head of Digital for HSBC Retail Banking and Wealth Management to take the hot seat at our next social mixer. We'll be covering topics from HSBC's new digital service launches, particularly on mobile (e.g. "peer-2-peer payments"), to how to prepare a large multi-national operation for digital disruption and rapid innovation. 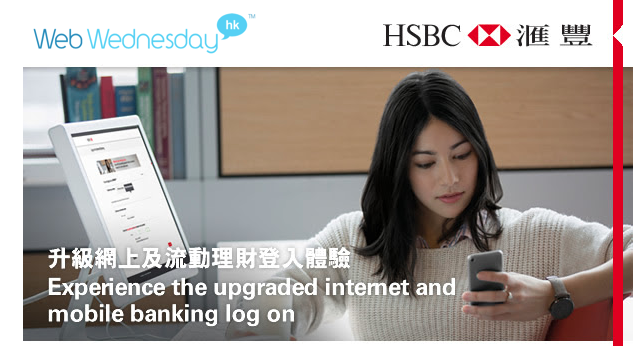 HSBC recently took the brave step to move 300 staff to the new WeWork hot-desking site in Causeway Bay. Our 104th social mixer will be hosted at Orange Peel Lounge, 2/F, Ho Lee Comm Bldg,38-44 D'Aguilar Street, Lan Kwai Fong, Central. Networking from 6:30pm, interview around 7.15pm, with an entrance fee of HK$100 that covers for one complimentary drink. Following on from their growing success with the StartMeUpHK programme, InvestHK (the inbound investment arm of the Government of the Hong Kong SAR) has recently spawned a new department under the catchy name of "Hong Kong FinTech". 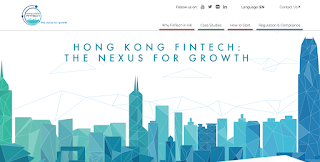 They explain why on their spanking new website, hongkong-fintech.hk, which also has some useful steps to setting up shop in this energetic city. Follow them on Twitter (@hongkongfintech). This new department is headed by Charles D'Haussy, ex-VP of Sales & Business Development at 8 Securities, who on his LinkedIn profile says that he will focus on "Payments/Billing Tech, Wealth Management Tech, Money transfer/remittance, BlockChain, InsuranceTech, RegTech". Charles (@charlus) will be supported by a Deputy Head of FinTech based in London, Thorsten 霍獅騰 Terweiden. His first job will be to recruit all promising startups looking for a way to survive in the wake of the Brexit traumas! This winter (7-11th November, 2016), they will be running Hong Kong FinTech Week in cahoots with Finovate Asia, an event by the Finovate Group from Seattle, USA. (Follow them on LinkedIn and Twitter). There is renewed energy in the industry as the "FinTech Supervisory Sandbox (FSS)", originally announced by the Hong Kong Monetary Authority, has now been backed by the Securities and Futures Commission and the Office of Commissioner of Insurance. See the SCMP article.